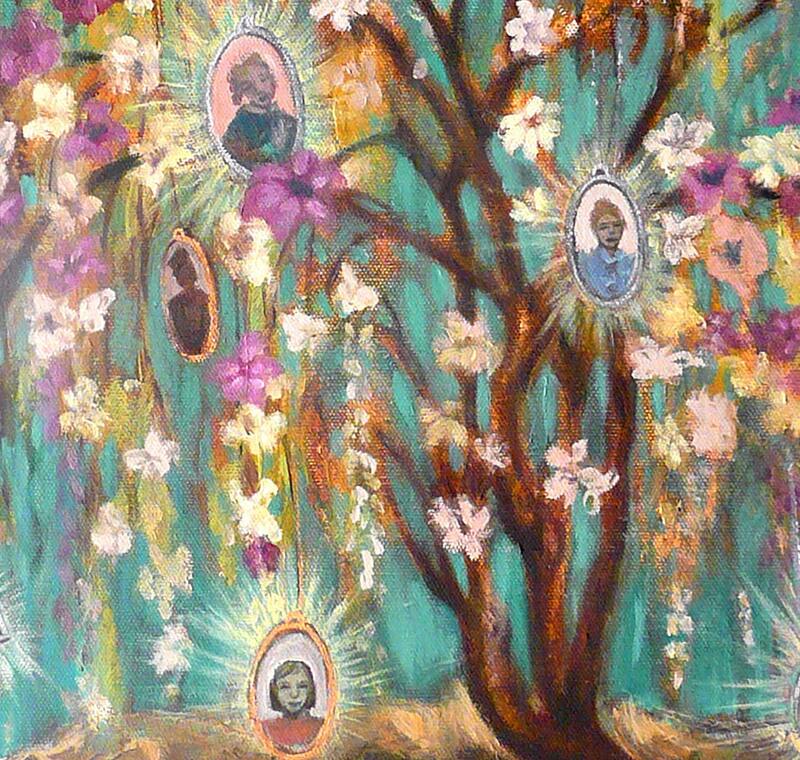 This painting is from a series based on dreams I kept recorded in a journal for several years and finally captured on canvas. 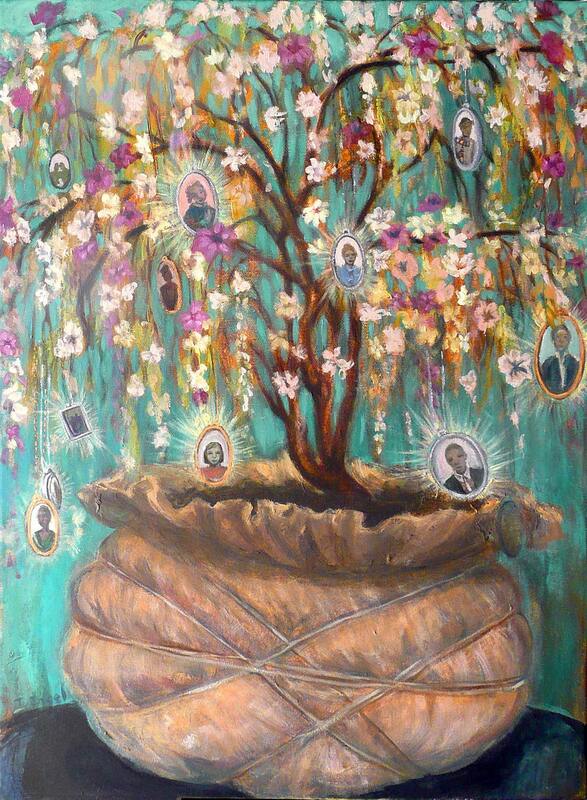 The Bonsai tree is filled with lockets and charms of family throughout the generations. The roots are bound and appear to be ready for transport to a larger base- very symbolic of transformation as time and generations take their place on the tree. Finished edges and attached hardware make it completely ready to hang. Shipping includes tracking and insurance. Payment Plans available with 50% down and final payment due within 60 days.